Lobster Thermidor, seared hazelnut-crusted veal fillet, Cantonese roast duck, pan-fried barramundi in pepper sauce – they're just some of the highlights of Singapore Airlines' Book the Cook service, which upgrades inflight meals to become a fine dining experience above the clouds. The word's best airlines have long since moved past the "chicken or beef?" era when you're flying at the pointy end of the plane, enlisting expert chefs to transform the business class and first class cabins into a five-star restaurant. Singapore Airlines goes one better with a Book the Cook menu where travellers select from a dizzying array of dishes before their flight rather than choosing from the standard inflight menu, which by necessity is far more limited in its range. On top of the regular handful of mains offered in business class, Book the Cook adds eight more dishes on flights out of Sydney and Melbourne – including seafood thermidor with buttered asparagus, Tasmanian salmon in wild-lime butter sauce, barramundi in black bean sauce with baby bok choy, lamb loin in Thai green curry, and SQ's home-town favourite of Singapore chicken rice. When you're flying out of Singapore that expands to a staggering 46 dishes from Western, Japanese, Chinese, Malay, Thai, Indian and of course home-grown Singaporean menus. Flights out of certain cities also offer some local dishes. For example, the choices ex-Barcelona include paella, braised Iberico pork cheeks and a breakfast platter of Spanish cold cuts. And this is all in business class, mind you: first class passengers have an ever greater spread to tantalise their tastebuds pre-flight. Yet is astounds us that so many travellers on Singapore Airlines flights don't know about Book the Cook. We're on a mission to change that, because this is an experience you don't want to pass up. 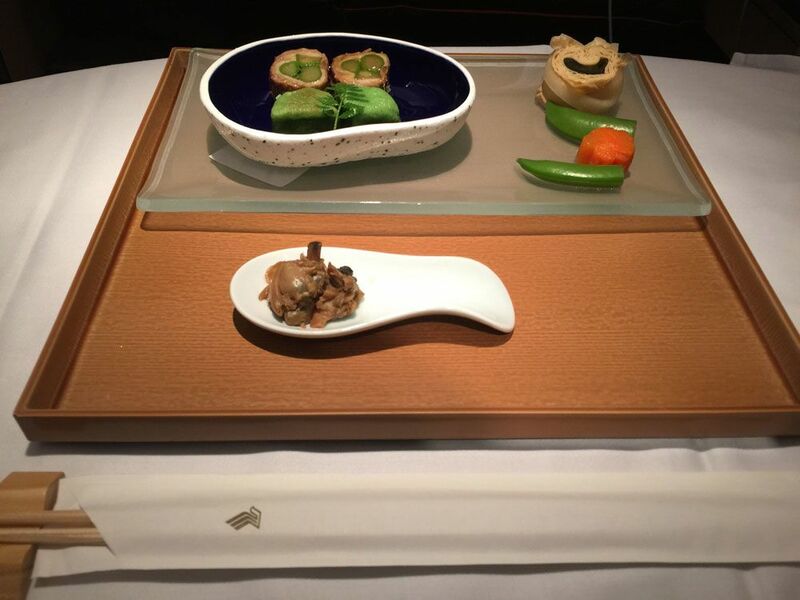 Here's a sampling of Book the Cook dishes the AusBT team have enjoyed on recent Singapore Airlines flights. The star of the Book the Cook show is, of course, the classic lobster thermador. 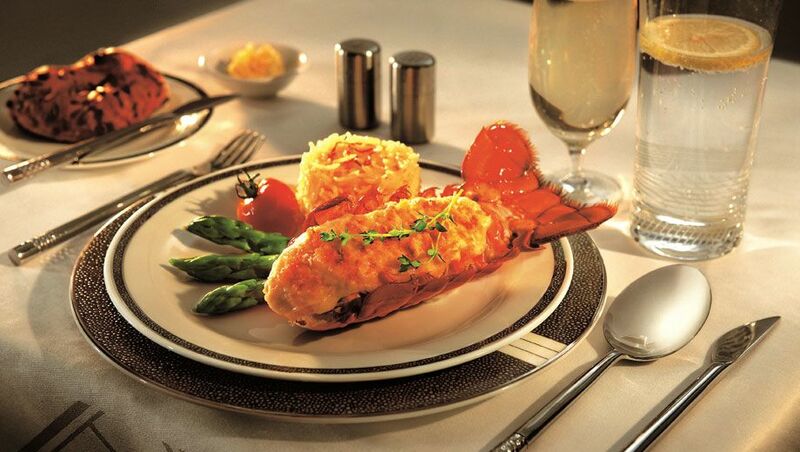 ... while business class passengers can tuck into a meaty lobster tail. If you're booked on a morning flight from Singapore, the Nasi Lemak makes a delicious change from the standard western breakfast. One of the popular lunch dishes on flights from Singapore is the marinated roast duck (it's soaked in a mix of dark soy sauce, spices and Chinese rice wine) with fragrant yam rice. 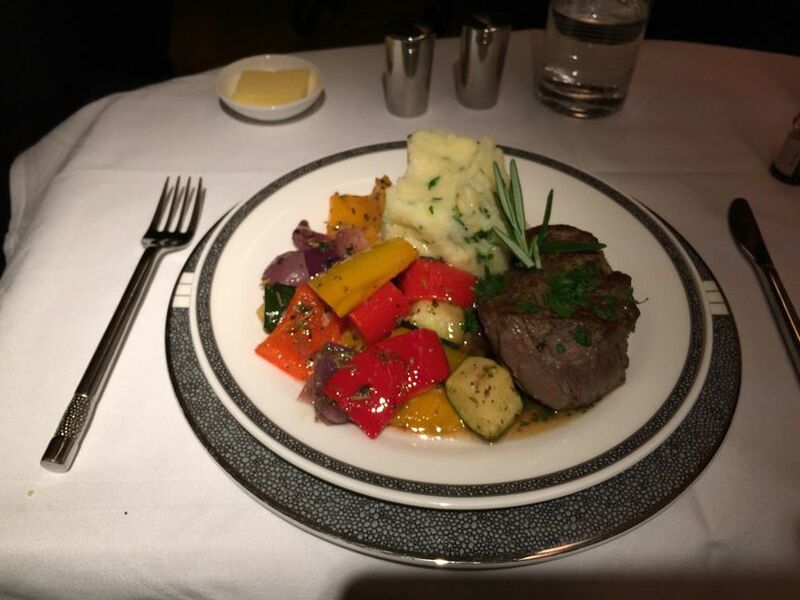 This superb beef fillet is one of the first class supper options on SQ flights from London to Singapore. It's also available in business class on the same leg. 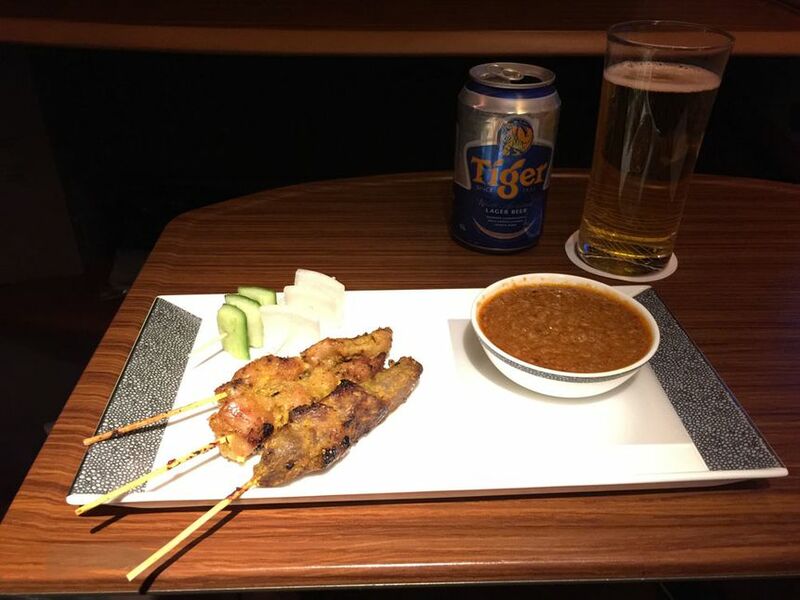 And, on a flight from Singapore back to Sydney, how can you go past the chicken & lamb satay skewers, accompanied by a Tiger beer? Choosing your Book the Cook meal is easy: it's one of the options listed when you manage your booking at the Singapore Airlines website, and you can specify each meal on each leg of your itinerary. The only caveat is that you need to make your selection at least 24 hours before your flight departs, so the meal can be prepared to order and loaded onto your flight. You can browse Singapore Airlines' Book the Cook menu across the entire SQ network. Really hungry now. I am doing MEL-LHR in First later this year and would be interested in other peoples suggestions for favourite dishes. So many choices! Its hard to go past the Lobster Tjjen2. With the Chicken and lamb satay, as a main course, does it suffice as a main when booked using the 'Book the cook' tool? Book the Cook reduces how much food must be loaded onto the airplane since the passenger is locked in, making a menu choice unecessary. 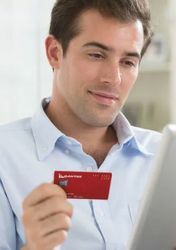 This reduces costs for the airline and work for the servers. Over many years I have found these dishes overall disappointing, the thermidor is always dried out for instance. I have gone back to simply ordering off the day's options for a better result in fact. I am in agreement with those who have expressed disappointment with Book The Cook. When i have used it, it has been disappointing and the dishes from the flight menu have always looked better. So, you pays your money and takes your choices. Love the Book the Cook - use it almost all the time. It can depend on what you choose. I have never chosen the lobster. Usually I have the curries, nasi lemak, chicken rice, biryani - you can see where I go with my preferred meals. Never disappointed. Lots of choices especially out of Singapore. We flew first class Melbourne to Tokyo on an Airbus 380 and selected the kyo kaseiki ... Wow, this blew our minds ! The quality of presentation and food - not to mention number of courses - was truly equalled a fine dining experience. 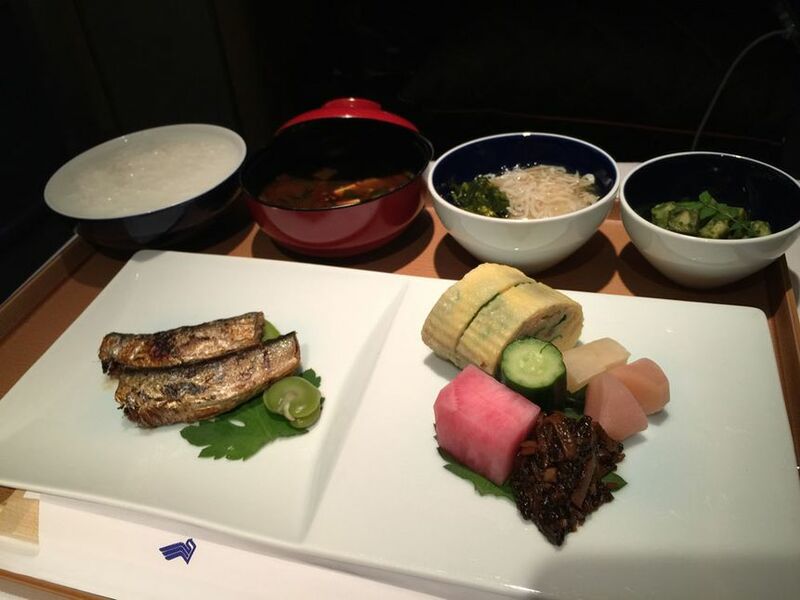 If you like Japanese, and are flying first class, do not miss this opportunity ! but not a single vegan option....Very poor. Im flying F and R in April so will report back with the offerings. Have just flown 4 J flights with them I chose the lobster, cantonese roast duck, singapore chicken rice, nut crusted veal, chicken & lamb satay and I have to say the lobster was my favourite of the lot and the duck was my least favourite since I found it to be too fatty for my tastes but the meat itself was fine. The best food I had was actually a duck salad appetiser and also the french toast on the LHR-SIN leg. "Over many years I have found these dishes overall disappointing, the thermidor is always dried out for instance"
I totally agree re the lobster - last week mine was gristly and chewy and smelt of some weird chlorine-pool smell. HOWEVER, the BTC beef fillet is always excellent. where did you pick up the lobster? was it ex SIN? What is also disappointing with Book the Cook is if you order a Dinner Meal, (ie Lobster) on a morning Flight or vice verse (maybe you want to eat a meal based on the time zone you’re heading too) the starters and breads are timed to standard meal service, so you end up with Lobster served with Danish Pasteries, Fruit and Yoghurt. 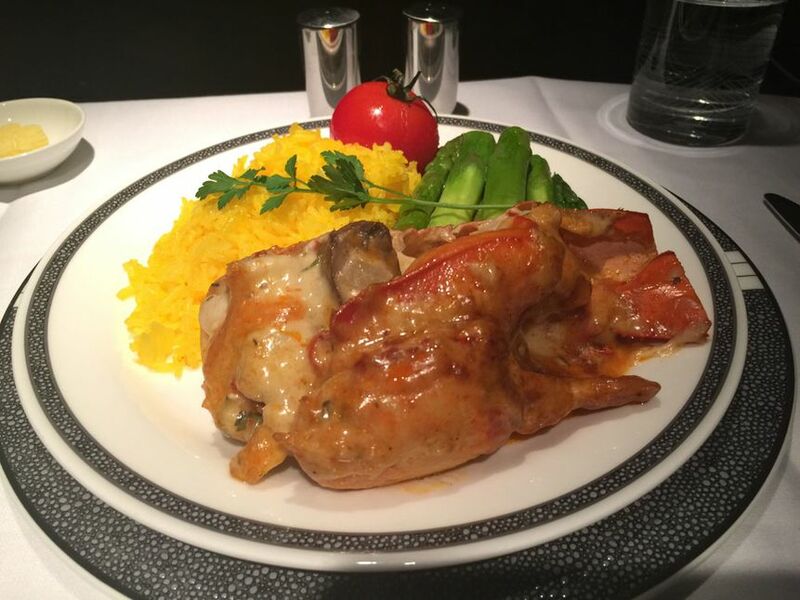 Comment on "Lobster at 40,000 feet: sampling Singapore Airlines' Book the Cook menu"